Palo Santo Oil or "Holy Wood"
Palo Santo Oil or “Holy Wood” is a very spiritual essential oil. Like frankincense, palo santo is known as a spiritual oil and is called holy wood. Used by the Incas to purify and cleanse the spirit from negative energies. The essential oil is distilled from the heartwood of the Palo Santo tree. It is fascinating that the heartwood must be at least two years old and be from the red wood to produce the higher quality oil. I have also read that the longer the tree has been dead, the more powerful the oil. This also holds true for frankincense essential oil. I can honestly say that this is one of the most interesting essential oils to work with. Because it is in the Frankincense family and shares similar properties, it can be interchanged when using for emotional and spiritual purposes. However, I find that Palo Santo oil is a sweeter and softer oil to use, and doesn’t come with the skin sensitivity. I personally connect with this oil easier and better than Frankincense on a spiritual level. Animal studies show that d-limonene is contained in the peels of citrus fruits such as grapefruit, orange and lemon. As I do receive new information and testimonials for Palo Santo Oil, they will be added to this page. So check back frequently or subscribe to the Oil Blog so you don’t miss a thing! Please read below for more information on Palo Santo Oil. It will tell you how to use it and what to use it for. It will also provide you with some suggestions, safety precautions for you and your pet! 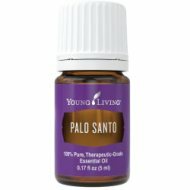 Want to Purchase Therapeutic Palo Santo Essential Oil? Buy Palo Santo Essential Oil Here! Why is this information important? There are several species of Palo Santo that are grown in different parts of South and Central America. In Ecuador it is against the law to remove or cut down Palo Santo trees as they are protected. Additionally, even taking the dead trees has limitations and must be permitted through the government. So, there are very few companies that are permitted to even touch the trees, more or less produce the essential oil. I am telling you this because I am suspicious of 99% of the companies selling Bursera graveolens oil or Palo Santo Oil on the internet today. Most companies are selling it under the generic name Holy Wood or other common names such as Brazilian paw paw (muricata species). So unless we know what the genus species is and where it comes from we really have know idea if it is the real thing or not! Where is the name derived from? The name in Spanish means “Holy or Sacred Wood”. What is the ORAC Value? I’m sure that Palo Santo hasn’t been tested considering that most people don’t even know that it exists! Anyway, I couldn’t find this information anywhere so if you do, please let me know! Did you know that the Incas used Palo Santo during spiritual ceremonies and rituals to cleanse and purify negative energies and vibrations? What are the Plant Properties? Centering and grounding. What are the Documented Benefits and Uses of Palo Santo?SPiritual connection and emotional grounding. What is the Aromatic Affect on the Mind? It is grounding and calming. Has a sweet, balsamic and earthy aroma with incense-like overtones. What is the Spiritual Influence? This oil will ground and release negative emotions such as anger, fear and obliteration. Diffuse it in your home and work space to cleanse and protect as you would with sage or red cedar. 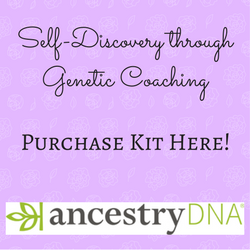 Use it during meditation to connect with spirit and stay focused. By the way, any of the oils that are from trees (Western Red Cedar, Spruce, Cedarwood, Frankincense, etc) will provide stabilization, grounding and security to our being, physically and emotionally. Can this Oil be used for Pets? Yes. I use this as a substitute for Frankincense! Again, use it as you would Frankincense and see which works better for you and your animals. Note about Animal Use: Certain oils can be very toxic to cats. Citrus and pine oils in particular that are not therapeutic grade! Please consult your vet if you are not sure about applying any essential oil to your pet. Did you know that the wood must become sawdust to produce the oil? Did you know it takes 9 kg of santo sawdust to produce 500 ml of Palo Santo essential oil? Go to the Oil Shop! Buy Palo Santo Essential Oil Here! Place a drop on your forehead (third eye) to assist in fulfilling intention or with meditation!